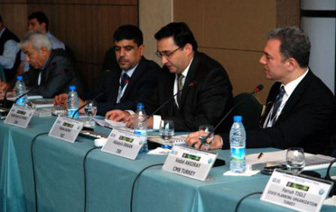 The 3rd Meeting of the OIC Member States’ Stock Exchanges Forum was organised by the Istanbul Stock Exchange and held in Istanbul on 24-25 October 2009. 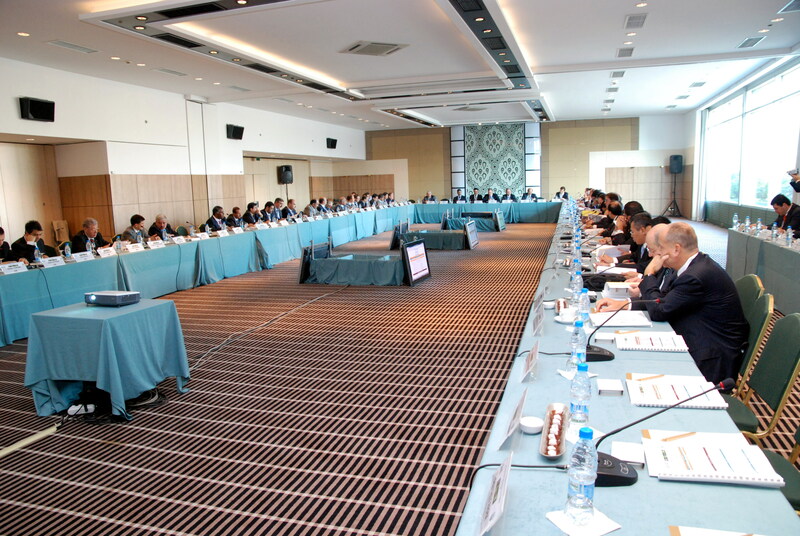 The Meeting was attended by representatives of 21 stock exchanges, 8 central depositories, clearing and registry institutions of the OIC Member Countries and 15 related organisations and institutions, including the SESRIC and IDB. 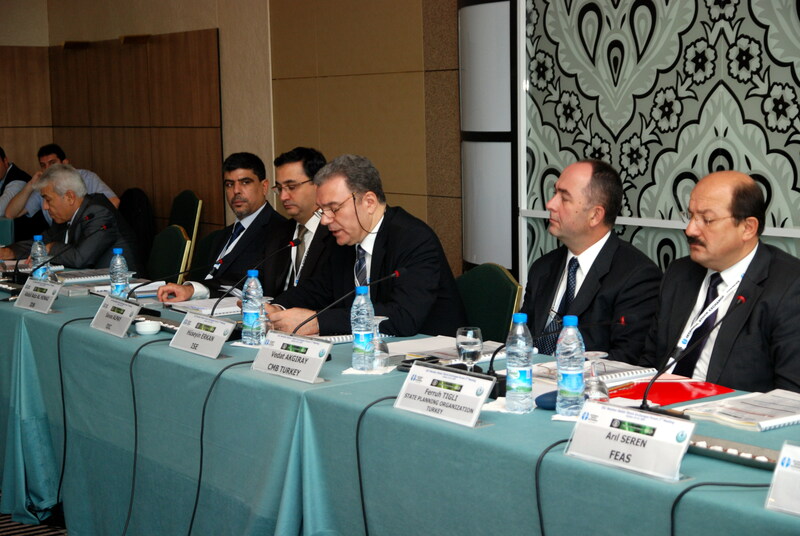 At the opening session, Dr. Savas Alpay, Director General of SESRIC, read the Message of H.E. Prof. Ekmeleddin Ihsanoglu, the Secretary General of the OIC to the Meeting. In his Message, Prof. Ihsanoglu extended his sincere gratitude to the Istanbul Stock Exchange and its President for taking a lead role in promoting cooperation among stock exchanges in the OIC Member States and its efforts to make this forum a permanent platform and communication channel for stock exchanges from Islamic countries. Prof. Ihsanoglu said that the idea of working toward closer cooperation and even integration among the stock exchanges is part of the OIC new vision as encapsulated in the Ten Year Programme of Action to support all activities that would promote economic prosperity in the Member States and their integration, including removing barriers to the free movement of people, goods, services and capital within the OIC community. He emphasised that cooperation among stock exchanges and relevant institutions of OIC Member States become more important than ever, particularly as the stock markets around the world still struggle to overcome the adverse effects of the global financial crisis. Prof. Ihsanoglu expressed his believe that standing together may give us the chance to turn the global crisis into an opportunity for our markets and that cooperation of stock markets in OIC Member States could offer a way for these markets to overcome some of the obstacles constraining their development. In this context, the Secretary General underlined the need for promotion of the Islamic financial instruments and mentioned that one of the aspects and tasks before this Forum should be sustaining the tempo gained so far in this regard and developing common trading and settlement rules and procedures for the benefit of the Member States. He assured the Forum that the General Secretariat of the OIC will remain supportive of various endeavours and current desire of the Forum to expand the scope and content of Islamic financial architecture. Prof. Ekmeleddin Ihsanoglu concluded his Message by expressing his confident that the Forum would enable the existing stock exchanges, clearing houses and related financial institutions in the OIC Member States meet the challenges imposed by the intense global competition, cooperate with each other in coordinating their activities, integrating their policies, regulations and procedures and increase their competitiveness and enhance investment opportunities in the OIC countries. He wished the 3rd Meeting of the Forum a very successful and productive deliberation. 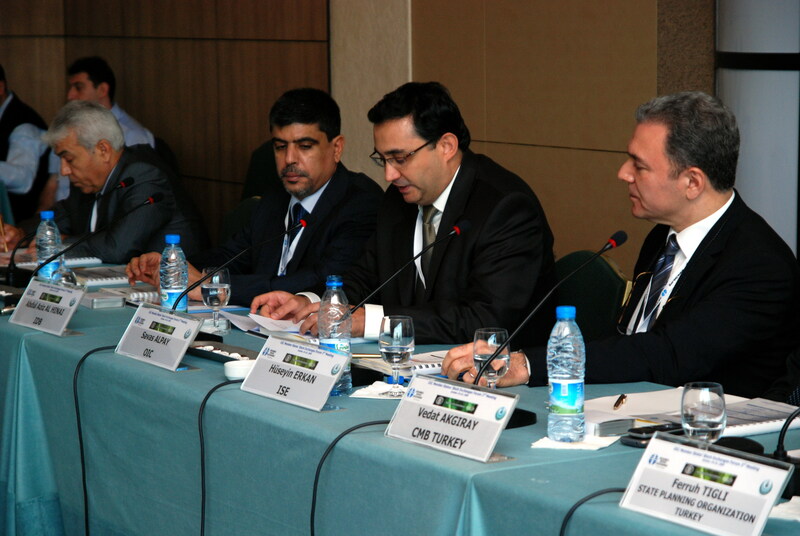 In his capacity as the Director General of SESRIC, Dr. Savas Alpay made a statement at the opening session, in which he expressed his great honour to participate in this Meeting as the Director General of SESRIC, the OIC subsidiary organ which has contributed actively to the early idea of the initiative of establishing this active and successful Forum. In his statement, Dr. Alpay dwelled briefly on two of the SESRIC recent activities and initiative which may have certain connection to the work of the Forum. First, Dr. Alpay briefed the Forum on the SESRIC monthly reports on the current financial crisis, which attempt to highlight the fact that the Islamic principles-based financial system has been recently more attractive in many countries around the world as many people come to argue that such a system, as a feasible potential alternative, could provide the solution to the weaknesses of the conventional financial system. He mentioned that strengthening cooperation in this context among the stock exchanges of the member countries, with the aim of promoting and encouraging financial instruments based on Islamic principles, such as Sukuks, and developing common trading and settlement rules and procedures for these instruments, could be one of the most concrete and useful outputs of the Forum to the benefit of the OIC Member Countries. Second, Dr. Alpay informed the Forum on the possibilities of extending the Centre’s Capacity Building Programme (CBP) to include the stock exchanges. In this context, he expressed the readiness of SESRIC to strengthening cooperation with the stock exchanges of the member countries in the area of capacity building and to assume the role of OIC coordinator for training activities in capacity building for stock exchanges in the member countries. During the working sessions of the Meeting, the participants reviewed the activities of the Forum since its establishment in 2005. They discussed and deliberated on the reports submitted by the Task Forces of the Forum on various technical cooperation issues of concern to the stock exchanges of the member countries such as customized indices and Islamic depositary receipts, post-trade services, promotion of awareness and education of investors about Islamic capital markets, and studying the feasibility of an Islamic Securities Exchange. The Meeting also deliberated on a number of presentations made by the representatives of some related organisations and institutions on specific technical issues with the aim to encourage cooperation among the stock exchanges of the OIC member countries. A set of proposals, recommendations and decisions have been made at the end of the Meeting related to the future work and activities of the various Task Forces of the Forum and other related administrative and organisational matters. The Report of the Forum, including the adopted recommendations and decisions, will be submitted to the 25th Session of the COMCEC, which will be held in Istanbul on 5-9 November 2009. 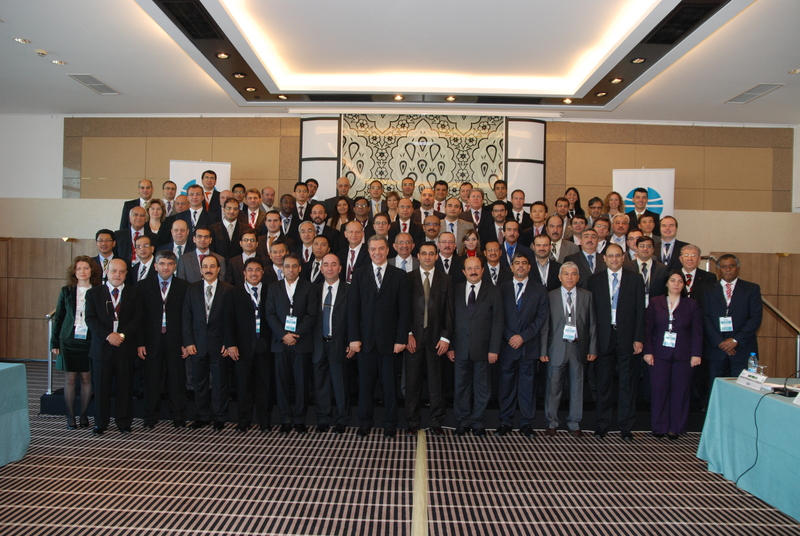 The 4th Meeting of the Forum will be held in Istanbul in October 2010 prior to the 26th Session of the COMCEC.